Learn more about One Billion Rising! One Billion Rising is the biggest movement celebrated around the world to end violence against women and girls in human history. Now’s your chance to join the global movement to stop violence against women. 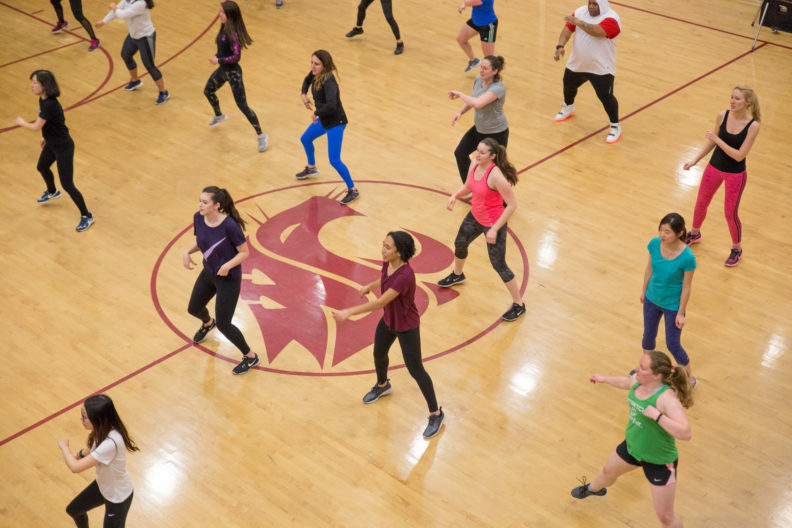 Join UREC as we rise, release, and dance, in a one-hour long FREE Zumba class. Let’s show the world what one billion looks like in one of our largest Zumba classes of the year!